On another record-breaking day, the California Golden Bears battled back from a double-digit second half deficit, pulling within two late in the game, before falling to No. 7 Oregon State, 82-74. Kristine Anigwe led the Bears with 31 points and 18 rebounds, breaking the Cal record for career rebounds en route. 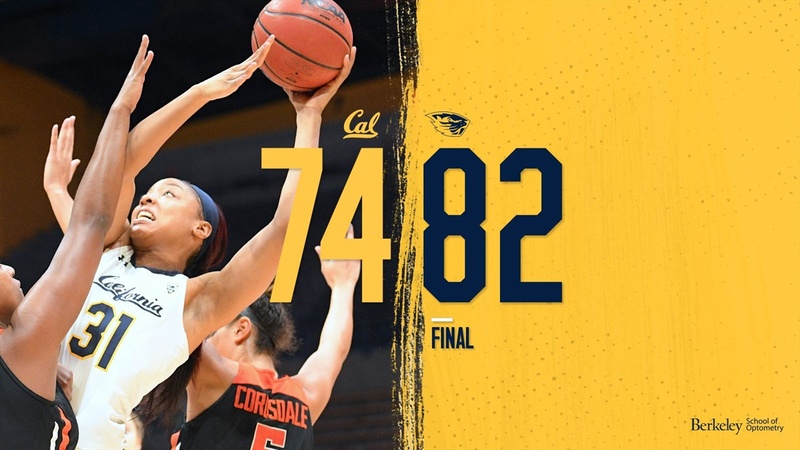 Asha Thomas broke a record of her own--Cal’s career three pointers--knocking down five threes for 15 points, as the Bears got hot from deep in the fourth quarter to threaten but could never get over the hump. After the game, neither player wanted to talk about their records. Destiny Slocum had 26 points for Oregon State. Aleah Goodman (17) and Mikayla Pivec (16) shook off slow starts to help the Beavers pull out the win. Cal has now lost three consecutive games against top-10 teams, falling to 14-9 (5-7 Pac-12). Oregon State improved to 20-4 (10-2). Kristine Anigwe fought through a double team to hit the game’s first basket. The next trip down, she passed out of a double, and the Bears found Jaelyn Brown open for a three, and Cal led 5-0. Oregon State came right back, with Destiny Slocum leading the way. The redshirt sophomore hit a stepback jumper and then a three. In between, Maddie Washington hit two wide-open baskets, and the Beavers had the 9-0 run. The lead seesawed for the next several minutes. A jumper by Anigwe and a three by Brown pulled Cal ahead, and Oregon State edged ahead, using their transition game for easy scores. With 5:40 in the period, Anigwe grabbed her third rebound of the game. It was her 1218th of her career, breaking the Cal rebound record perviously held by Gennifer Brandon. Jaelyn Brown’s third three tied the game at 13. McKenzie Forbes grabbed an errant pass and found Anigwe inside for a basket, and then Forbes called her own name, hitting a long three, pulling Cal ahead 18-13. The Bears maintained the five point lead to close the first period up 20-15. The Bears opened the second playing with decisiveness and energy. Receé Caldwell knocked down two jumpers, and CJ West knocked down a long jumper of her own. Anigwe hit a turnaround in the paint, and then two more free throws, as Cal stretched the lead to 30-19. Cal’s 10-2 run was abetted by three turnovers by the Beavers. Anigwe continued to dominate inside, assisted by West, who fought through a thicket of arms for a tough putback. While OSU struggled on offense against the tight Cal player to player defense, Slocum remained their escape valve, scoring three baskets to help the Beavers keep pace. Much as in their game on Friday, after a great stretch of play, the Bears could not sustain their momentum. Cal’s offense went cold, as the Bears missed from deep against the Beaver zone, and OSU took advantage. Aleah Goodman hit a three and a pull up, and OSU closed the quarter on a 11-2 run. Cal entered halftime up 37-35. Anigwe had 17 and 9, while Slocum countered with 13 for OSU. The Beavers, who entered the game second in the country in three-point accuracy (42.1%), hit only two of eight attempts after 20 minutes. Taya Corosdale knocked down an open three right off, giving OSU the lead to open the third. Asha Thomas missed two open threes, but knocked down the third attempt, pulling Cal back ahead 42-40. Mikayla Pivec, who had been quiet on offense in the first half, converted on consecutive three-point plays, and OSU was in the lead, 46-44. An Anigwe free throw and another Thomas three gave Cal some momentum, but Oregon State immediately snatched it away with some tough defense and terrific effort. A steal by Goodman became a layup for Pivec. Goodman hit a three. Pivec picked off a lazy pass and converted the fastbreak basket. Joanna Grymek swatted Anigwe down low, and the Beavers converted it on the other end, with Goodman earning a three-point play. “We got into transition, and I got a couple of good passes ahead, and that got me going a little bit,” said Pivec. Two more Pivec free throws, and the Beavers were up 59-49. “There were a couple of plays in a row where we weren’t locked in enough, and they made us pay,” said Gottlieb. The 13-3 run to close the third left OSU up 58-50. Cal came out in the fourth hitting from deep. Two Asha Thomas threes, followed by another by Kianna Smith, and Cal was back in business. Caldwell pumped in another from beyond the arc, and Cal was within 66-63, prompting a time-out from OSU, with 6:42 to play. Slocum scored again in the paint. Jaylen Brown matched her, flying in on the left block for a strong putback. Another Thomas three, and the Bears were within 72-70, with four minutes to go. On the basket, Thomas became the Cal record holder for career three pointers (212), breaking the record held by Alexis Gray-Lawson. But the Bears could not string together enough stops on the other end, as Goodman and Slocum continued to get to the hoop with ease, picking up fouls or layups, and the Beavers got back up 76-70. Two Anigwe free throws narrowed the gap, and after an OSU timeout, the Beavers turned the ball over trying to inbound the ball. Cal took over with two minutes to go. Smith missed a three, but Anigwe was there for the rebound and putback, and the Bears were within 76-74. OSU went to their pick and roll, isolating Grymek on Thomas down low. The 6’8 Grymek scored over the 5’4 Thomas, and OSU had the two posession lead, 78-74. The two teams traded turnovers, and with 34.9 second to play, OSU’s defense forced Cal to use time without finding an open shot. Thomas missed a rushed corner three, and Cal was forced to foul to extend the game. The Beavers hit their free-throws for the final margin. The Bears now head to Los Angeles to take on USC and UCLA, who both beat No. 17 Utah this weekend. Pearbear, these two quotes in your article says a lot and reminds me why I am so frustrated. "Asha has got the heart of a lion," said Rueck. "She hit huge shots in the second half. This team is as good a shooting team, collectively, as I've competed against these last nine years. 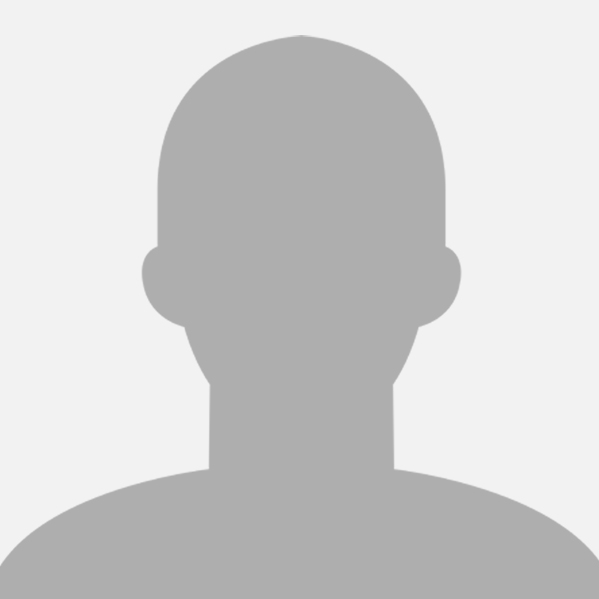 This Cal team shoots very well in comparison with others in the past." "We've been exposed on defense a little bit against great teams, and we've talked about being sharper," said Gottlieb." I've said all year we are a good shooting team from the outside. No one here believes it even if you give proof. We are shooting 34 %. We shot the ball 30 times from 3 point land this past game. What we haven't had is all our outside shooters getting hot at the same time. Always two or three a game. We did do a better job at 3 point defense this game. OSU came in shooting over 40 % from three point land and shot in the 20's this game. We shot 33 %. What we didn't do was defend inside. To me, the inability to stop guard penetration was exposed much earlier this season. But I think the problem was Gottlieb/team chalked it up to individual brilliance/quickness (a la Slocum, and Arizona's McDonald) or individual match-up issue (footspeed or size: Caldwell, Forbes, Thomas). But it's become clear that when you need a basket late, ball screen action and taking it to the basket is the way to get a basket against Cal (UCLA, AZ, ASU, OU, OSU, et al). So let's see what the Bears will do against the likes of UCLA and USC. Neither is known for disciplined set plays that get high percentage shots, so the key will be for Cal to get a big cushion force the opponent to execute. It helps that Anigwe has raised her game even from when we last faced these teams. I was encouraged at the times the Bears ran plays designed to get a three attempt over the last few games. Those plays more often than not resulted in a player ready to shoot, in rhythm, which gives her a much better chance for success. Just in the last 2 games alone, look what happened when Brown was looking to shoot (early in the OSU game) instead only focusing on entries to Anigwe, or when Thomas and Smith knew they needed to shoot (in fourth quarters of both games). It's too bad that LG doesn't see it that way. That is the frustrating part.